DEPARTED THE SHOW FEELING: what an incredible voice… but can we get her a stylist, please? My eyes hurt. Sweden-based pop vocalist Faye has been around the block. After leading the teen-girl group ‘Play’ (from 2001-2003) and touring with Destiny’s Child, a lady picks up a few things. Now striking out on her own with an ambient electro factor that only Sweden knows how to do so so well, Faye is ready to to make her mark. 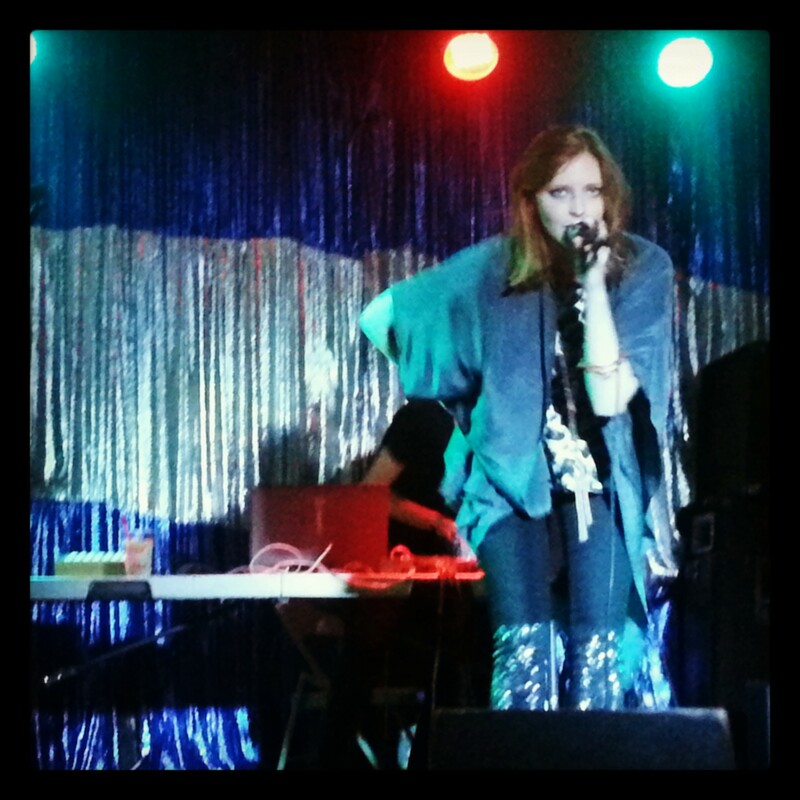 Last night the now solo artist took the stage at the Satellite in Silver Lake, CA to a very eager crowd. Even the gay glitterati showed up, snapping and recording (pretty much) the entire set. Down to business: Faye has an INSANE voice and vocal range. With roughly 50 people in attendance, the venue had a very intimate and cozy feel to it. When she walked up to the microphone Faye seemed a little sheepish, but as soon as the music started she channeled her character and committed fully. I’ll be straight forward- her dance moves were a little robotic, and yes… a little awkward. But that only added to the allure of the entire project. It was one girl, belting out incredible heart wrenching songs, and doing it as if no one was watching. The only backup she had was “Johann” who programmed the beats and accompanied her on piano to one heartbreaking ballad. He is the exact poster child for Swedish musicians: pale, skinny, and mysterious. Yummy. And because we don’t waste time in L.A., check out the live footage from the show below. Courtesy of beats4la.